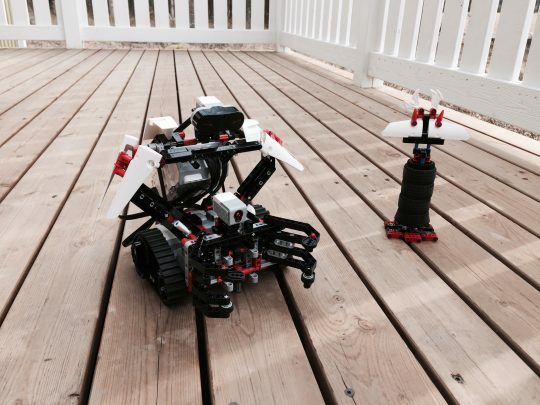 Come join us for TDD with Lego Robots at TestBash 2015! At TestBash this year, in beautiful Brighton, Ru and Maaret will hold a 2 hour workshop on Test Driven Development with Lego Robots. In this workshop, we’re practicing making our test ideas crisp and clear before implementation. As business owners, we have one Lego Mindstorms Robot, a great vision for a product with technical uncertainties and plenty of devices to program the robot with. We need you to make our vision happen – working in teams, providing continuous value in short increments, designing the tests first and then implementing each feature. To build the smallest possible value, we’re not targeting the full vision at once, but one feature at a time. It’s likely that this style of development will also lead you to refactor your implementation, keeping the driving tests the same. TestBash is a great event with great speakers and we’re happy to be a part of it this year. Our robot is ready and so are we. See you in Brighton!